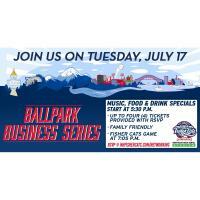 The Fisher Cats are proud to host chamber members at the ballpark on July 17. The event is family-friendly. 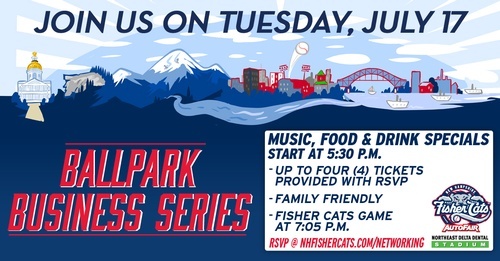 Network with your colleagues and business leaders from throughout the featured region and enjoy the game with friends and family. Tickets are complimentary for chamber members and your guests making it a great opportunity to host colleagues, friends or family at a game! Enjoy free hot dogs, raffles, tours and drink specials in the Samuel Adams Brewhouse starting at 5:00 p.m. The game’s first pitch is at 6:35. Any one that RSVPs online simply brings their email that they get to the Box Office on their mixer date and exchanges it for the tickets they need. It’s super easy—we have the tickets printed and ready to go!